Publishing giant EA has reportedly made severe layoffs at several of its studios including Mythic, Redwood Shores, Black Box and Madden developer Tiburon, with early estimates putting the number of jobs lost at a staggering 1500. The announcement that Electronic Arts would be making cuts at a number of its satellite studios hit the gaming blogs earlier today, specifically targeting four development houses in particular. Virginia-based EA Mythic, developer and operator of Warhammer Online and Ultima Online, reportedly suffered losses of 80 employees - approximately 40% of its work force, according to a Tweet from Mythic volunteer Katherine Pitta. Those laid off at Mythic are hardly alone, however. EA Black Box, developer of the Need For Speed and Skate series, also reportedly suffered cuts. Perhaps most surprisingly of all, though, are the reports of layoffs at EA Tiburon and EA Redwood Shores. 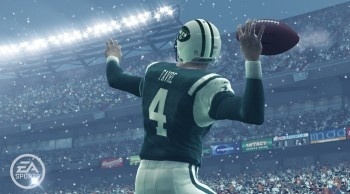 The former is the developer of the hugely popular Madden NFL games, and though initial sales of Madden '10 were sluggish and "discouraging," even a slow year for Madden would be considered wildly successful for almost any other game out there. EA Redwood Shores, on the other hand, is the company's HQ, home to studios that developed games like Dead Space and the hugely popular Sims franchise. This news came in advance of the company's quarterly earnings call, through rumors and via Twitter, like a particular Tweet from former EA staff member Eron Garcia: "Who just got laid off: a. Me, b. Most of my department, c. HUGE chunks of EA, d. All of the Above." Though it is not uncommon for studios to go through yearly layoffs to trim the fat after completion of the season's big holiday games, the perception of these layoffs is that they are significantly more severe than they might have been otherwise. The reports follow the announcement that EA would be buying casual gaming studio Playfish for $300 million. Early estimates place the number of jobs lost at an unfortunately high 1500, though we will revise as necessary as more accurate information comes in. Best of luck to any of our readers with the misfortune to be caught in the cuts.